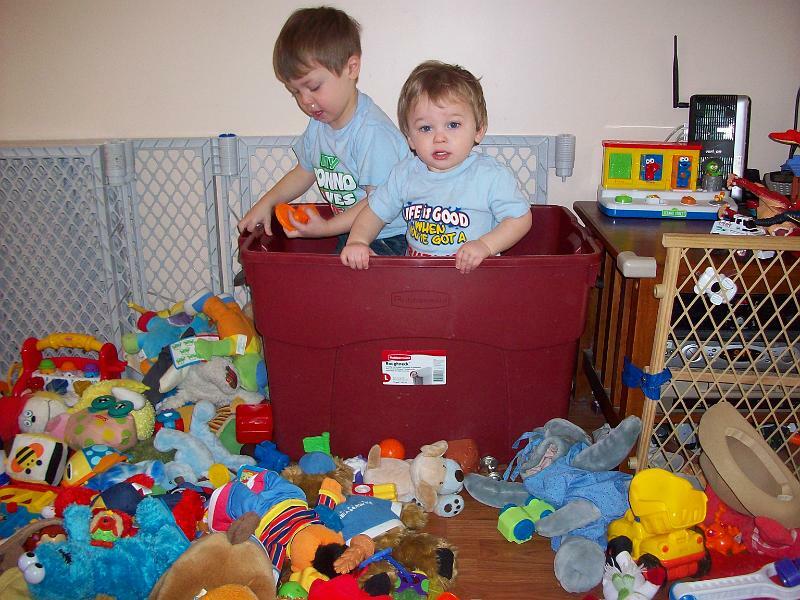 Lets talk about kid clutter, shall we? Once upon a time I had a really cute living room. And an office. Then we had one baby and it became a playroom/living room. We promptly added two more babies and it was no longer a living room... but a 24/7 playroom filled with toys that happened to have a couch and a TV. That office? Now a babies room. And most days? It all looked like this. That's right, a floor covered in toys and kids jumping in and out of the mostly empty toy bin. I'm not going to lie, we still have those days sometimes. BUT we have also made some changes at kid central. I'd like to share my 10 strategies for de-cluttering and organizing the toys in the playroom (as well as the rest of the house since if you have small kids like I do, you know it ALL becomes one giant playroom?! 1. First things first we set up a bookcase against the living room wall (that yes, we bolted to the wall for safety). On the bottom shelves we organized all of the board books for the kids. On another shelf within their reach we placed all the coloring books and a bin of crayons. Higher up but still in view are all the DVDs the boys can choose from with our help... and on top of that are special books the boys need our help with for one reason or another. 4.We moved the giant kitchen play set that took up a great deal of space out to the house and into the backyard so they can play with it there. It actually gets more use out in the yard. So much easier for the boys to play at. 5. A large bin in each of the boys rooms. When it's time to clean up at the end of the day, the random toys scattered around get placed in the bin for the night. 6. A laundry basket in each room. You might not think so at first, but it makes such a difference when the kids have a spot to throw their dirty clothes. I am no longer finding random socks and sweaters stuffed under the bed. 7. Table and chair set in each room. We always had one for the Big Guy but only added one for the twins about a year ago. Makes a nice space for them to sit and read or color when playing in their room. 8. We installed a set of hooks on wall behind the bedroom door for jackets and backpacks to hang. The boys all know when they come home from school the backpacks get hung right up for the next day. This way we are never on the hunt to figure out what happened to them. 10. Give toys away. I used to hold yard sales to try and make some money. It's just so much easier (and less time consuming) right now to find someone you know with kids and pass it on - or take it to the Salvation Army. So often by the time the boys grow out of a toy it is still in good condition, I like knowing someone else will get some use out of it too. So those are my 10 tips on organizing the clutter. I like to think it's always a giant work in progress though. Some days we are nearly spotless... and other days... well you can't always see the floor. Just knowing I have all these organizational things in place though, makes me feel like it won't take too long to see that floor again. Give it a try yourself. Do you have a great tip you use to de-clutter that I did not share here? I would LOVE to hear it! Always open to new suggestions! 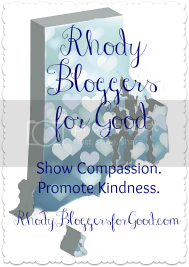 I wrote this blog post while participating in the SocialMoms and Hot Wheels® blogging program, for a gift card worth $40. For more information on how you can participate, click here.